"The Venezuelan people are suffering from a collapsing economy brought about by their government's mismanagement and corruption," US Treasury Secretary Steven Mnuchin said in a statement. "By imposing these targeted sanctions, the United States is supporting the Venezuelan people in their efforts to protect and advance democratic governance in their country." The sanctions imposed by the US Treasury include the freeze of any assets that the judges may have in the US, barring them from entering the country, and prohibiting US citizens from doing business with them. 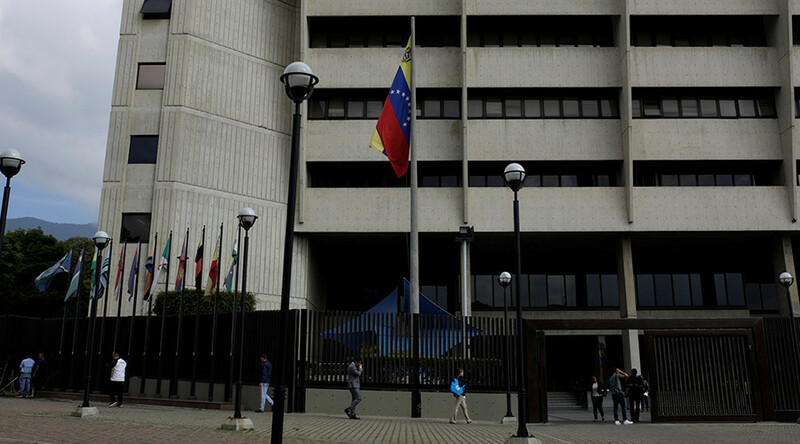 The sanctioned Venezuelan officials will also have their names added to an official Office of Foreign Assets Control list, which also discourages foreign banks from doing business with those indicated. Protests surged in Venezuela at the end of March, after the Supreme Court ruled to take over the duties of the National Assembly. 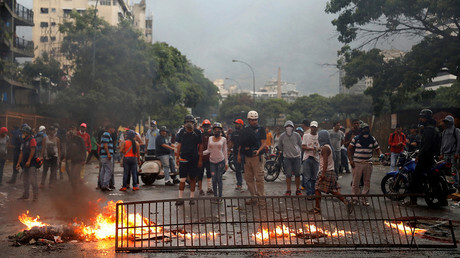 Many saw the move as undemocratic, and though the court repealed the decree several days later, continuing unrest has claimed the lives of at least 39 people. “President Santos and I also discussed the deteriorating situation in Venezuela, and it is really in a very bad state, as you see and as we all see through the media,” he said at a press briefing following a meeting with his Colombian counterpart, Juan Manuel Santos, at the White House. Meanwhile, the Venezuelan oil sector has not been targeted by sanctions. The country is the third biggest oil supplier to the US, after Canada and Saudi Arabia. The Venezuelan foreign minister spoke with RT Spanish around two weeks ago, saying that the media and foreign governments had been blowing the situation in the country out of proportion. “At all governmental levels, these biased countries are sabotaging the chances of establishing a dialogue between the Venezuelan government and opposition,” she added. 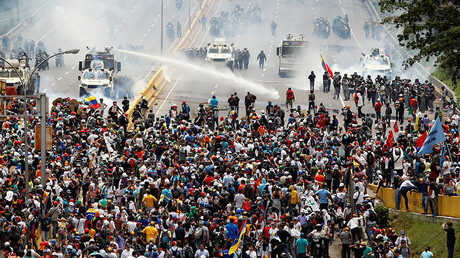 Later in May, Elías José Jaua Milano, who was appointed president of the Commission for the National Constituent Assembly, said in an interview with RT Spanish that Venezuela’s major opposition is not interested in taking part in free general elections, and is merely seeking ways to create chaos and violently oust President Nicholas Maduro from office. “They are not interested in taking part in the elections when the situation is politically, economically and socially stable. Now they are not planning to run for elections at all, but initially they wanted the election to take place amid economic and social chaos in the country, thus they could have won by creating a mess in our society,” he said. “CNN, do not get into the affairs of Venezuelans. I want CNN well away from here. Outside of Venezuela. Do not put your nose in Venezuela,” Maduro said, as cited by El Nacional newspaper.